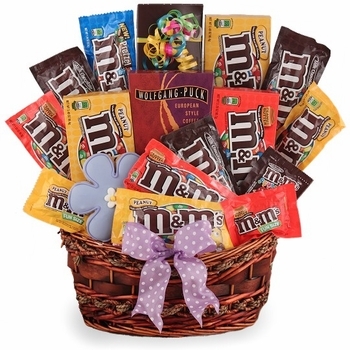 This is definitely the perfect gift basket for the M&M lover in your life! 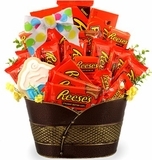 We’ve filled this beautiful woven basket with a huge variety of M&M’s; it’s not going to be easy to choose which one to eat first! 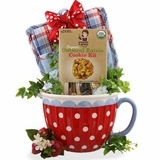 There’s also a variety of other goodies including hand-decorated cookies and coffee, in addition to the seemingly never ending variety of M&M’s. 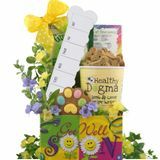 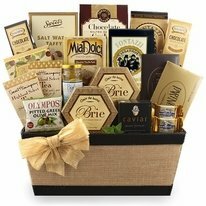 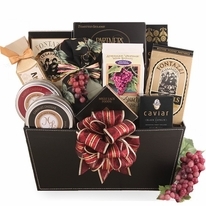 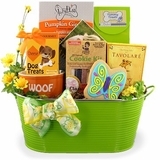 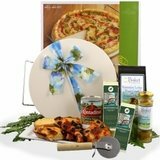 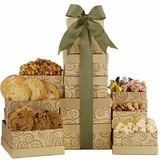 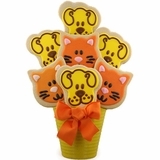 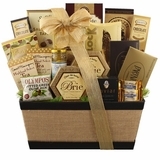 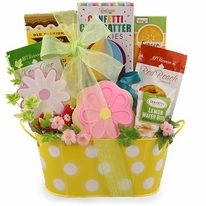 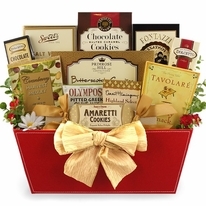 This is a great basket for many different occasions: birthday gifts, thank you gifts, get-well-soon gifts or just because.